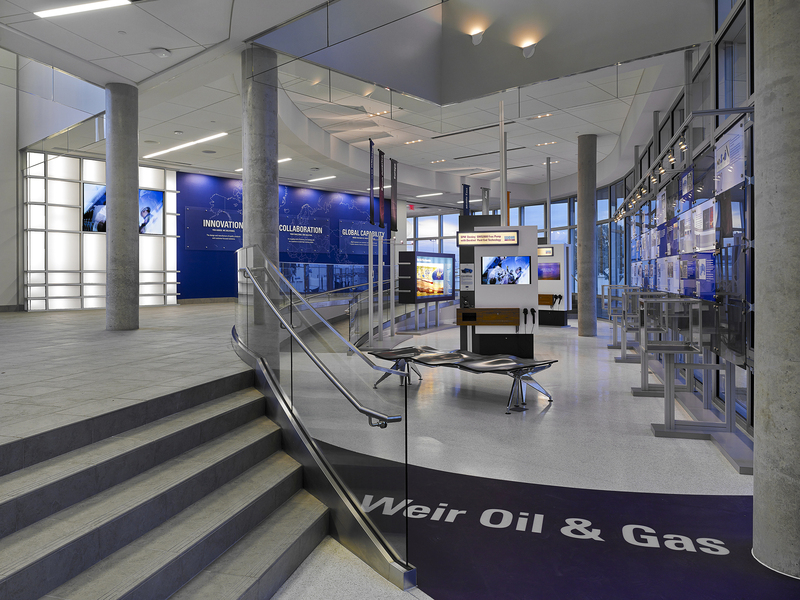 Weir Oil & Gas is a market leader in well service pumps and high pressure flow control equipment. 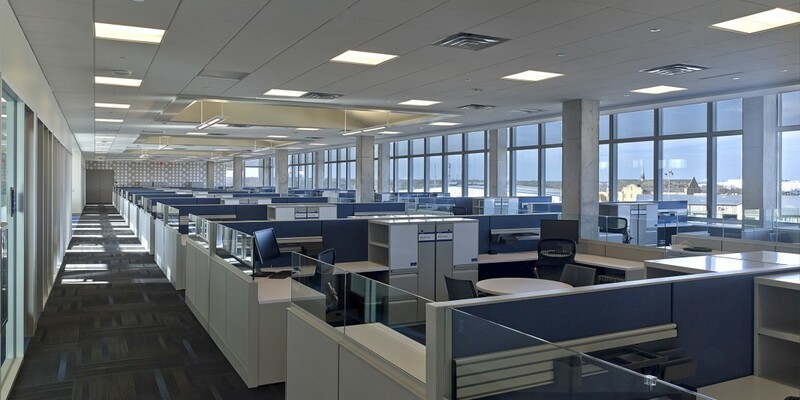 Its new corporate headquarters houses the primary data center for their global network of more than 40 offices. 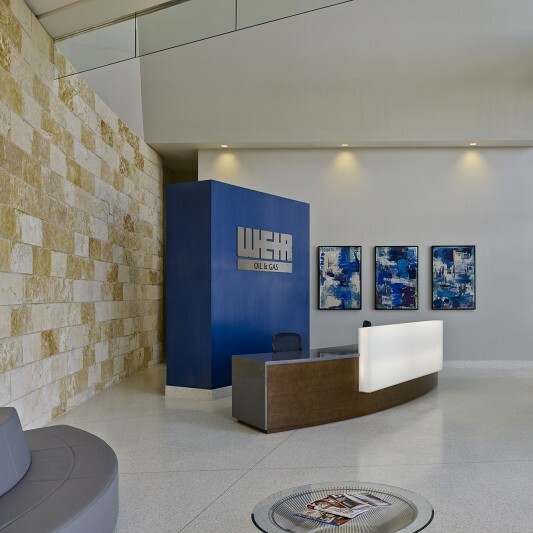 The facility was built on a vacant piece of land in the center of Weir’s existing industrial campus to allow for easy access to all of the outlying manufacturing buildings. 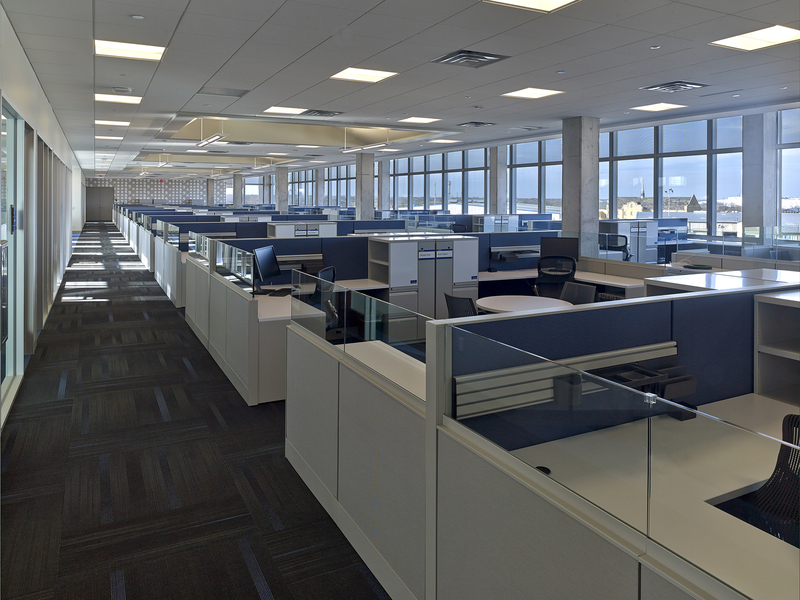 Built by Beck, the three-story building includes offices for company executives, sales, finance, information technology and human resources. The new building also provides dining and meeting facilities for the entire campus. The building’s unique three-story design allows for views both to and from the community and provides a vertical landmark for the city. A three-story atrium links all floors together, bringing natural light into the interior of the building. Collaboration between the owner and project team was essential in developing energy saving technology strategies, all focused on making project as sustainable as possible. 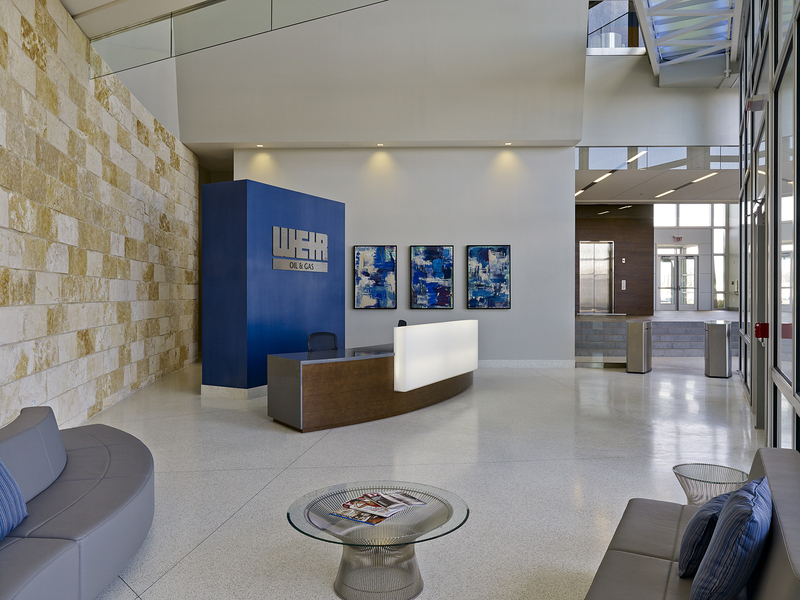 As a result, the project achieved LEED Gold certification.